NCR (no carbon required) books, pads and sets are available in any design, in any shape with any amount of copies, basically whatever you require! 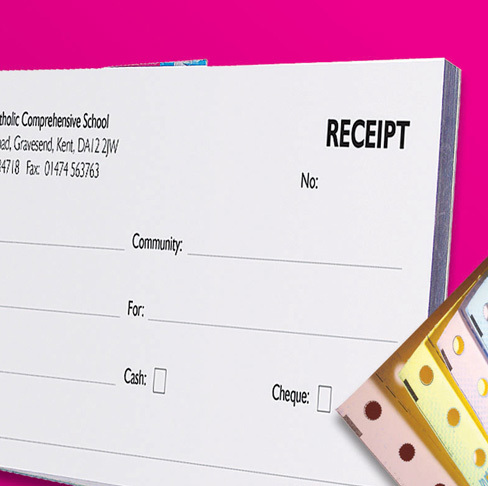 Commonly used for receipt pads, authorised absence pads and even detention slips/books, but the options do not end here. We can design specifically to your requirements. In-house design available from your ideas supplied in Word/Exel etc.